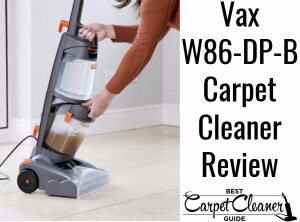 How good is the Vax W86-DP-B carpet cleaner? Let’s find out! First impressions are that it’s compact and lightweight. It’s easy to operate and has twin refillable tanks and dual rotating brush bars that make cleaning easier. It’ll let you deep clean carpets and rugs and bring them back to life. 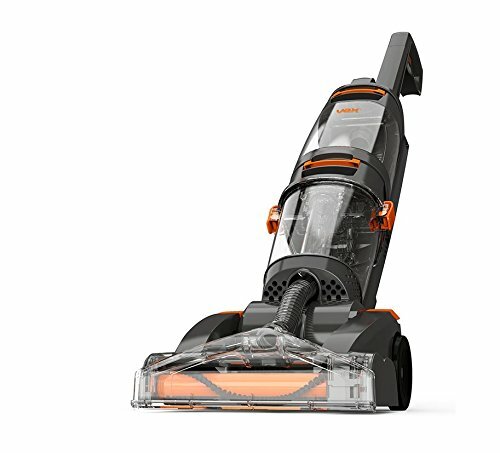 Weighing approximately 6 Kg, this model has a volume capacity of 2.7 L. Using 800 watts of power it’s far from the most powerful model on the market. Its cord can reach up to 8 metres, which is fine for a house but obviously not for commercial use. 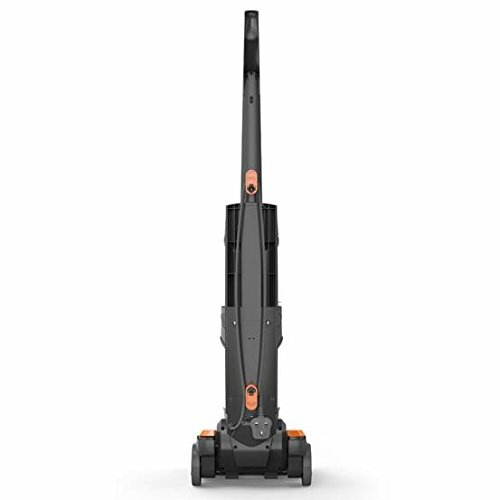 It uses dual rotating brush bars for deep and thorough cleaning. This technology can remove even the stubborn dirt hiding inside your rugs and carpets. Its best feature is its twin tank technology that ensures that the clean and dirty water won’t mix as you clean. The tanks are easy to refill and to empty. You just have to clip the tanks to remove the tanks from the body. The shampoo you can buy alongside it has a screw cap that measures the application of the solution accurately. I rate the product 8.5 /10 for performance. Even a messy carpet that seems impossible can be cleaned in only about 20 minutes. The carpet looks like it has been brought back to life, and it smells clean and nice at the same time. Cleaning a rug is a moment’s work as the unit is so lightweight. It does pretty well on different types of surface. Not bad! However, the brushes that come along with it are difficult to clean. Furthermore, the tanks have to be refilled for a number of times during longer cleaning sessions. The carpet cleaner is designed for home use. The tanks require constant refilling, and the cord can only reach 8 metres, which means that it is not designed for commercial use. It is recommended for people who live in a small apartment. It is also ideal for people who have kids and pets at home who frequently mess and stain upholstery. The product is good enough if you will just use it at home for your carpets, rugs, and maybe a couch or two. Being compact makes it easy to store. It’s not messy because of the dual tank technology. It effectively deep cleans any kinds of fabric because of the dual brush technology. Most importantly, it can bring your shabby rugs and carpets back to life by making it look and smell clean. It’s not powerful, and it’s not perfect, but we give it a thumbs-up, and if you can get it at a discount, snap it up! Our overall rating is a solid 8/10.